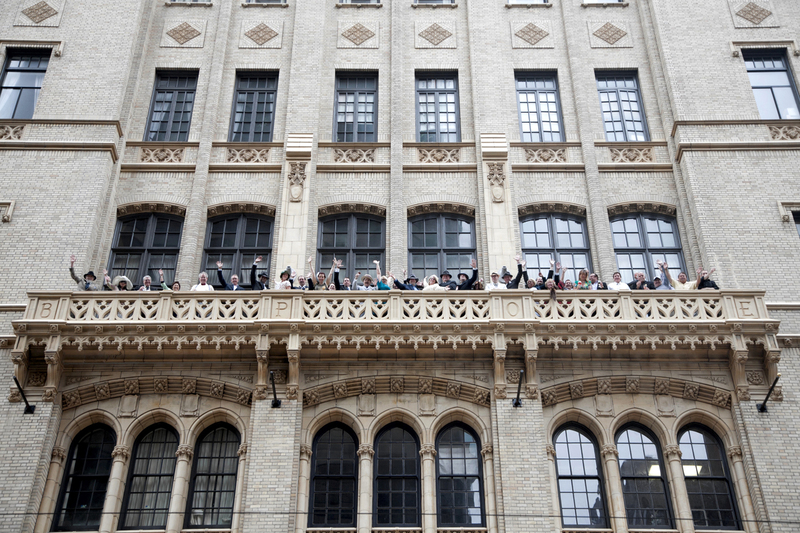 now THAT’S an opening reception! A great big, gigantic THANK YOU to everyone who traveled from near and far to attend the Ex Postal Facto weekend — words can’t describe how incredible this event was. 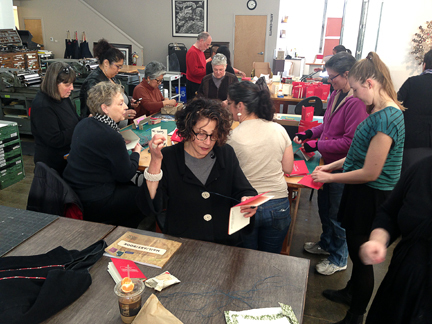 Three days filled with stories, laughter, and creativity underscored the fact that the mail art community is filled with some of the kindest, most generous people on the planet. From the bottom of my heart, I’d like to thank the XPF team who helped make it all happen: Maureen Forys, Kate Kaminski, Sally Wurlitzer, Jennifer Utter, and Angelique Evans — through the talents of these five fantastic “postal partners in crime”, Ex Postal Facto came together into one unforgettable weekend. Over the next few days, I’ll be posting video and photos, snapped over the course of the weekend. 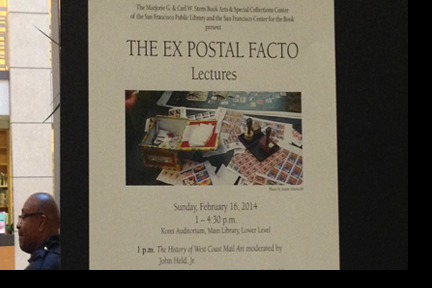 I’d also like to invite anyone who has Ex Postal Facto related stories, artworks, photos, etc. 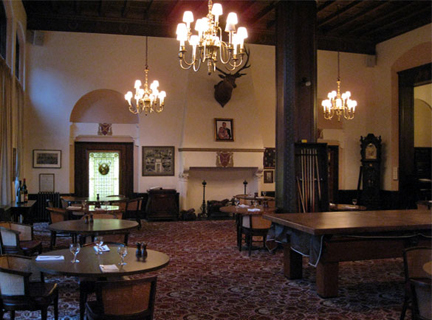 to send them my way; plans are already in motion for an Ex Posto Facto yearbook! More details to follow, ASAP. Thanks for the amazing weekend. Now I can reply to all of that correspondence that’s been piling up! 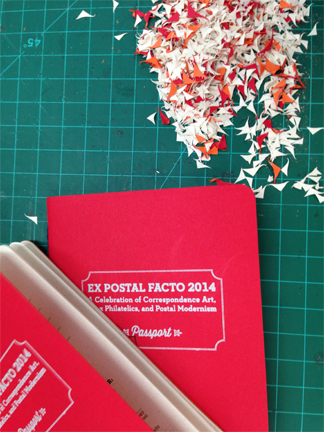 Just a friendly reminder: online sales for the official Ex Postal Facto passport will end at 5pm PST on Wednesday evening. If you haven’t had a chance to make your purchase, now’s the time! We’re down to a mere 32 passports. Designed by Happenstance Type-O-Rama and silkscreened by The Lords of Print, these babies are sure to become collector’s items. 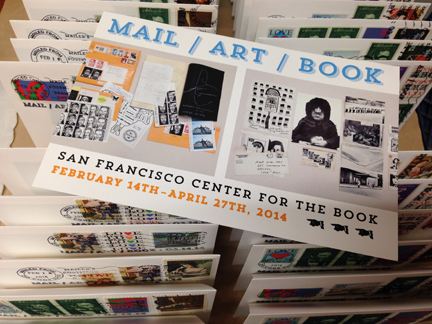 With that in mind, I’m looking forward to seeing all you postal moderns in a few short days! got a passport? then you’re in luck! During Ex Postal Facto, each day’s event has a special “visa” (see first photo above) which will only be stamped in Ex Postal Facto passports. Stop by the “Passport Control/WILL CALL” table to get yours! 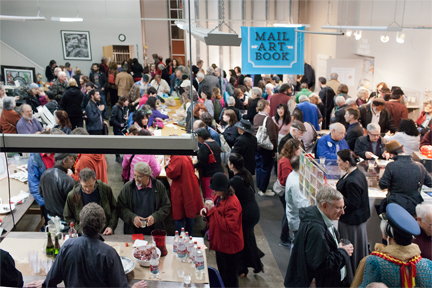 In addition to passport visas, there will be a commemorative postal cancellation available during the opening reception of “mail/art/book” at SFCB. 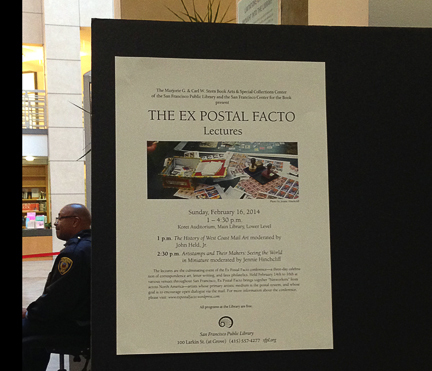 Ex Postal Facto attendees are welcome to bring their own pre-addressed mail art and hand it off to our Postmaster-For-The-Evening, Mr. James. 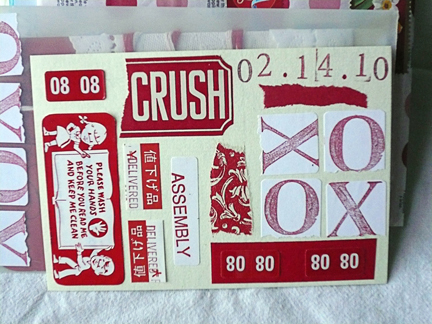 For those of you travelling light, there will be a mail art creation station for those last minute valentines and love letters. postcards/letters must be legibly addressed with proper postage. Your return address must be included in the upper left hand corner. 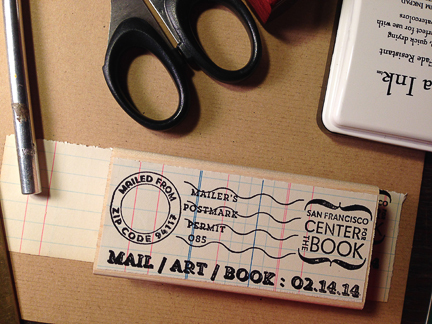 if you have 3D elements attached to your outgoing mail, please affix the proper amount of postage (i.e. “more”). Otherwise, the recipient runs the risk of having “postage due”. mail art that does not have postage affixed, cannot be read, or does not have a return address will not be mailed and will find it’s way to the Red Letter Day Dead Letter Office. mail will not be cancelled at the event. It will be cancelled and mailed once Ex Postal Facto has wrapped up. 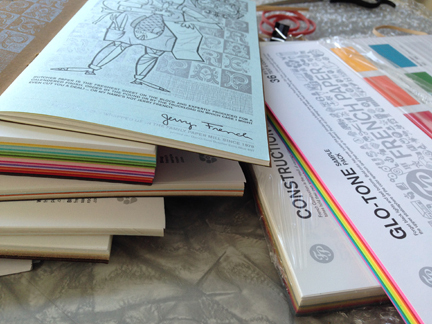 Alright gang: time to get to work creating something fabulous! Photos can be shared over at the Ex Postal Facto FaceBook page (if you’re into such things); just search “Ex Postal Facto 2014”. 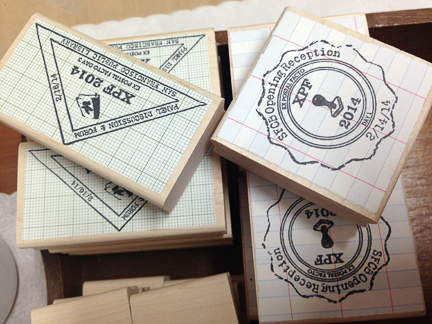 Ex Postal passports are hot off the assembly line! 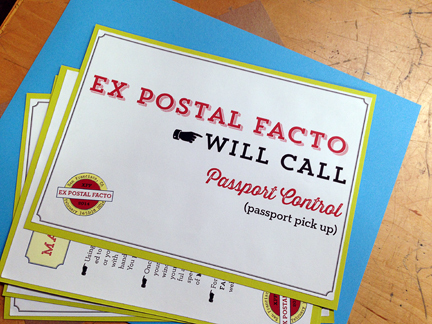 Ex Postal Facto passports are HERE! A legion of volunteers spent the better part of Saturday folding, stitching, sewing, and corner-rounding (see above & more on that later) to complete 250 of these cuties. 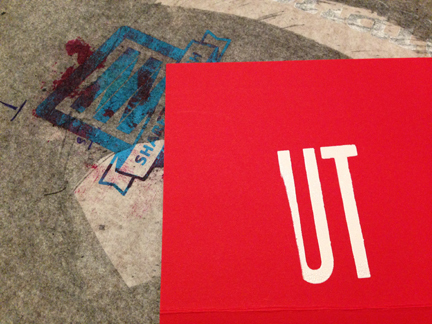 With silkscreened covers by The Lords of Print (thanks Rick! 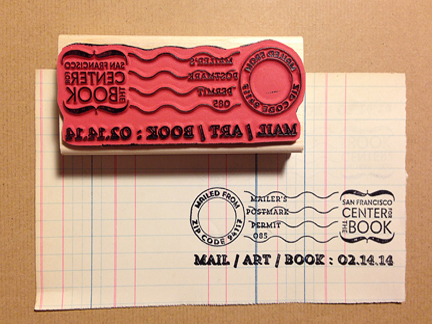 ), hand stamped details, and plenty of pages to fill with artwork and ephemera, this is a FANTASTIC way to commemorate your Ex Postal Facto adventure! 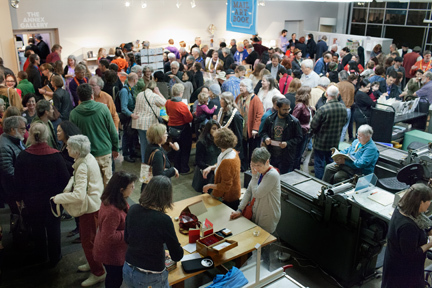 —WILL CALL passports can only be picked up in person at one of the following events: SFCB opening reception, the vendor expo at the SF Elks Lodge, or the lectures held at the SF Public Library. —WILL CALL passports will not be mailed out. If you are unable to attend Ex Postal Facto, but are interested in purchasing a passport, there will be a small portion of passports held aside for this purpose. Further info will be posted on the Ex Postal Facto website, in regards to this type of purchase. 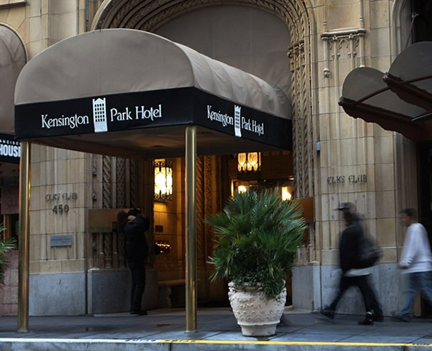 —WILL CALL passports must be purchased by 5pm on Wednesday, February 12th. Online passport sales are limited to 100 passports. There will be a small amount of “off the street” passports (i.e. people who attend XPF events, but do not purchase a passport in advance) available at the above listed events, however the Ex Postal Facto team cannot guarantee availability of passports. 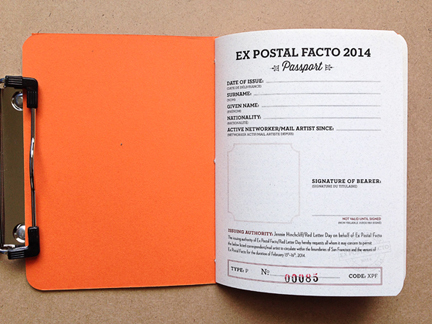 Passports for Ex Postal Facto 2014 can be purchased here.